The Dominion of India (Hindi: भारत अधिराज्य, Bhārata Adhirājya), also known as the Union of India, was a predecessor to the modern-day Republic of India and an independent state that existed between 15 August 1947 and 26 January 1950. It was transformed into the Republic of India by the promulgation of the Constitution of India on 26 January 1950. 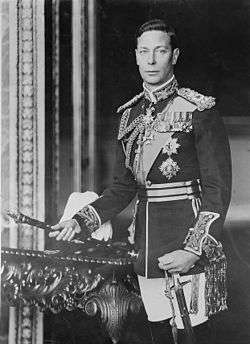 George VI was the king (the head of state) and was represented by the Governor-General of India. However, the governor-general was not designated viceroy, as had been customary under the British Raj. 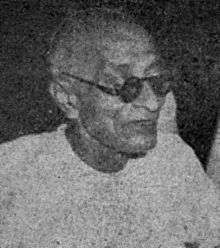 Two governors-general held office in India during the Dominion period (after the office of Viceroy was abolished by the Indian Independence Act 1947): Mountbatten of Burma (1947–48) and Chakravarti Rajagopalachari (1948–50). Jawaharlal Nehru held office as prime minister formerly as Secretary for State (the head of government) of the Union of India throughout this period. The Partition of British India on 14/15 August 1947 led to the creation of two sovereign states, both dominions: Pakistan (which later split into the Islamic Republic of Pakistan and the People's Republic of Bangladesh) and India (later the Republic of India). The Constituent Assembly adopted the Constitution of India, drafted by a committee headed by Dr Rajendra Prasad, on 26 November 1949. India became a federal, democratic republic after its constitution came into effect on 26 January 1950. Rajendra Prasad became the first President of India. The sovereign and head of state of the dominion of India was a hereditary monarch, George VI, who was also the sovereign of the United Kingdom and the other dominions in the British Commonwealth of Nations. His constitutional roles were mostly carried out by the Governor-General of India. The royal succession was governed by the Act of Settlement 1701. The monarchy was abolished on 26 January 1950, when India became a republic within the Commonwealth, the first Commonwealth country to do so. ↑ Created Earl Mountbatten of Burma on 28 October 1947. 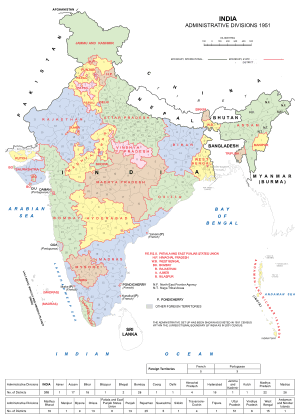 Wikimedia Commons has media related to Partition of India.